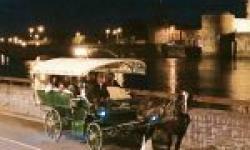 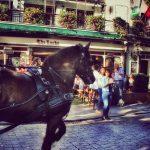 Limerick Carriage Tours in Limerick, Ireland will take you on an award winning horse drawn carriage tour sightseeing in the historic city, and you sit back and relax enjoying the comfort of the luxurious carriage. 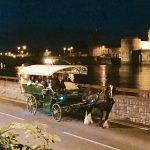 They have tour types to suite everyone, there's the enchanted evening tour seeing the medieval and Georgian quarters of Limerick by night, or the private historical day tour with a personal tour guide. 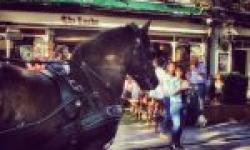 Limerick Carriage Tours also offer the carriage for special occasions, corporate hospitality, stag and hen parties, pub crawls and more, and combined packages are available, they operate year round.